Set in the vibrant epicentre of Franschhoek village, resident guests can enjoy leisurely meals in The Conservatory, or al fresco on the terrace. Breakfasts are highly rated and an all-day dining menu offers light meals with a focus on local produce from midday. If spending a sunny afternoon in the presence of two iconic figures sounds like your cup of tea, we have a treat in store for you! 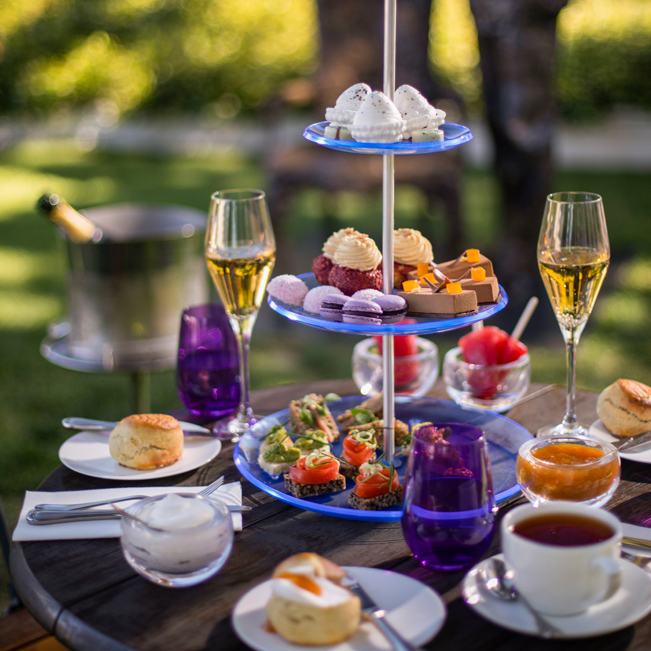 Every Sunday from 14h00 to 17h00, we will be hosting our popular traditional afternoon tea on the front lawn at Leeu House, where you can enjoy delectable sweet and savoury treats. 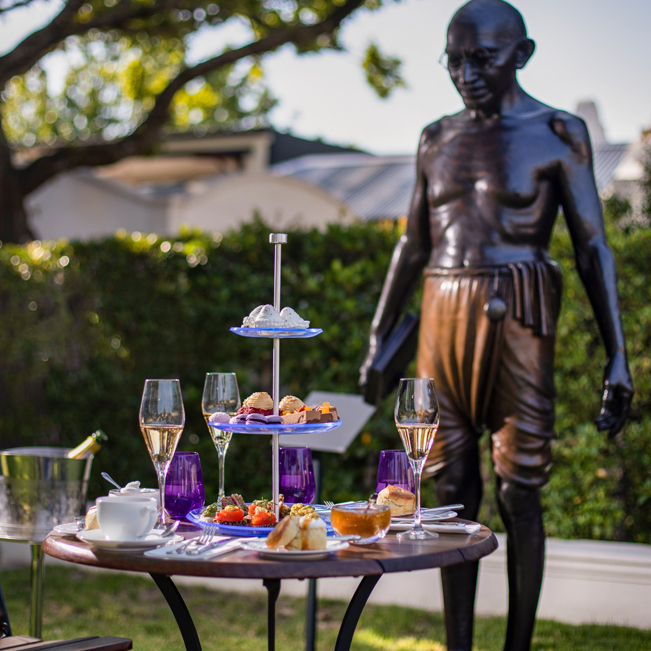 Near life-size sculptures of two modern icons, Anton Momberg’s ‘Gandhi’ and Egon Tania’s ‘Mandela’, were strategically placed at the front of the property for maximum visibility. These artworks pay homage to the cherished Indian political and spiritual leader, Mahatma Gandhi, and Nelson Mandela, the much-loved South African political leader, respectively. We can accommodate groups of up to 28 people. Booking is essential and full prepayment secures your booking. To make a reservation please email events@leeucollection.com or call +27 (0) 21 492 2475. The Conservatory is open to resident guests only. Smoking is not permitted.